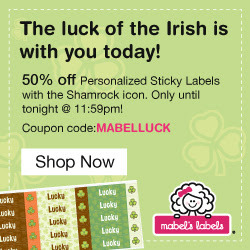 50% Off Shamrock Sticky Labels at Mabel’s Labels- Today Only! Everyone can have a little luck this St. Patrick’s Day because Mabel’s Labels is offering 50% off Shamrock Sticky Labels. In addition to using shamrocks to decorate gifts and cards, these iconic labels are a fun way to tag your kids’ belongings while giving them a little luck. Starting 5am EST and ending 11:59pm EST, Mar. 17th, use the coupon code MABELLUCK to receive 50% off of your purchase of Shamrock Sticky Labels. Plus, receive free shipping on all orders! 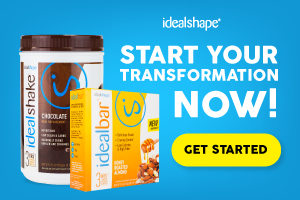 Hurry – before this offer ends!